Azeri Foreign Minister Elmar Mammadyarov met with the delegation of German Marshal Foundation, Trendreports with reference to the statement of the Azerbaijan Foreign Minister. 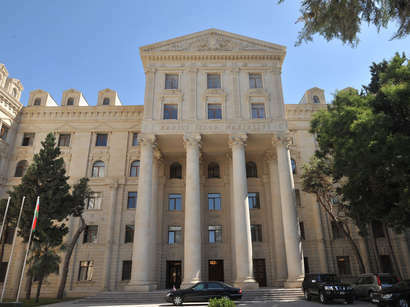 The Azerbaijani Foreign Minister informed the guests about the situation in the region, interrelations with the neighboring countries, Armenian-Azerbaijani Nagorno-Karabakh conflict and the ways of its settlement. Mammadyarov answered to the questions of the guests regarding the geo-policy of Azerbaijan, realization of global-economical projects, religious situation, efforts of Azerbaijan to restore peace and stability in the region.